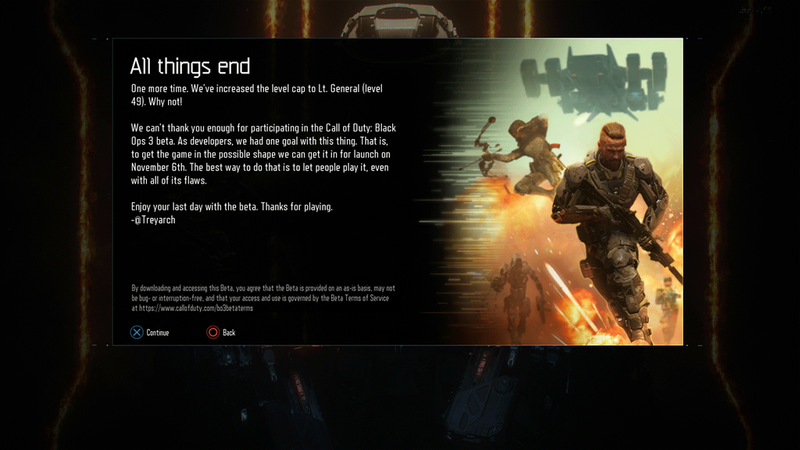 August 30th Beta Update: Treyarch has increased the level cap in the Black Ops 3 beta on Xbox One and PC to level 49. Black Ops 3 beta has also been extended – now ends Aug. 31st at 10PM PT. Learn more about that here. 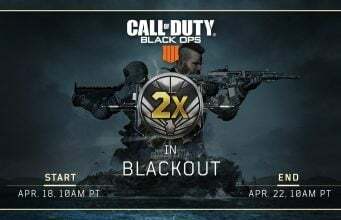 August 29th Beta Update: Treyarch has updated the Black Ops 3 beta on Xbox One and PC to increase the level cap to 40 and add a new game mode. New Game Mode: Safeguard – Teams alternate in escorting a non-combative robot into enemy territory. Deliver the robot to win. August 28th Beta Update: Treyarch has updated the Black Ops 3 beta on Xbox One and PC to increase the level cap, add Uplink mode, and a new map. Call of Duty: Black Ops 3 beta is live on Xbox One and PC. Ends August 30th.